From 1721 Georg Philipp Telemann, worked as the music director of five churches in the city of Hamburg. As well as providing music for church, his other civic duties, and directing the opera, he also found time to pursue the legal right to control the publication of his own music. It is hard to imagine, given the present popularity of the Gloria in D major, that Vivaldi’s church music was completely forgotten until well into the 20th century. Unlike Telemann, Vivaldi’s interest in publishing seems to have been small compared to the size of his ouevre. His sacred music was mostly composed and performed as part of his duties as Maestro di Concerti at the Conservatorio dell'Ospedale della Pietà and exist mostly in manuscripts scattered thoughout Europe. The concerts given by the young women of the Pietà orphanage were a major attraction on the Venice stop of the Grand Tour taken by European gentlemen of the 18th century. Quite who would have sung the tenor and bass parts is not clear, since the boys were put out for training as apprentices before their voices had broken. The concerto we present exists in another version, but the one we perform tonight is from a manuscript in Dresden recently made available digitally. It may be an attempt by a Dresden musician, perhaps Johann Georg Pisendel, to incorporate an oboe into an existing violin concerto. This includes the unusual insertion of a French-style air for oboe solo. Named after the singers and lutenists who performed in the most intimate quarters of the Stuart monarchs’ palace, The Musicians In Ordinary for the Lutes and Voices dedicate themselves to the performance of early solo song and vocal chamber music. Soprano Hallie Fishel and lutenist John Edwards have been described as ‘winning performers of winning music’. 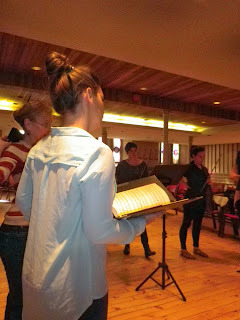 A fixture on the Toronto early music scene for over 10 years, last year MIO became Ensemble in Residence at St. Michael’s College in the University of Toronto. They have concertized across North America and lecture regularly at universities and museums. Institutions where MIO have performed range from the scholarly to those for a more general public and include the Shakespeare Society of America, the Renaissance Society of America, Canadian Society for Renaissance Studies, Grinnell College, the Universities of Alberta, Toronto and California at San Diego, the Kingston Opera Guild, Syracuse, Trent and York Universities and the Bata Shoe Museum. They have been Ensemble in Residence at Lafayette College in Easton, Pennsylvania. Laura McAlpine is enthusing audiences with her musical interpretation, and dramatic versatility with “mellifluous singing and flashes of wit” (Opera Canada), an “impressive voice that jumps off the stage” (Paula Citron, Classical 96.3 FM), and a “fine performance, clear, expressive voice with fine artistic sensibility” (Dianne Wells, Whole Note). On the opera stage, Laura has received acclaim for her performances, and interpretations of Sesto (La clemenza di Tito), Dorabella (Cosi fan tutté), Madame Flora (The Medium), Charlotte (Werther), Cherubino (Le nozze di Figaro), Dryade (Ariadne auf Naxos), Orlovsky (Die Fledermaus), Siebel (Faust), Sarinder (Savitri and Sam), in the newly composed opera by Canadian John Mills-Cockell, with Factory Theatre, and Aunt Luce Gertrude (Kamouraska), in Charles Wilson’s workshop and premiere presentation, with Opera in Concert, and conductor Alex Pauk. 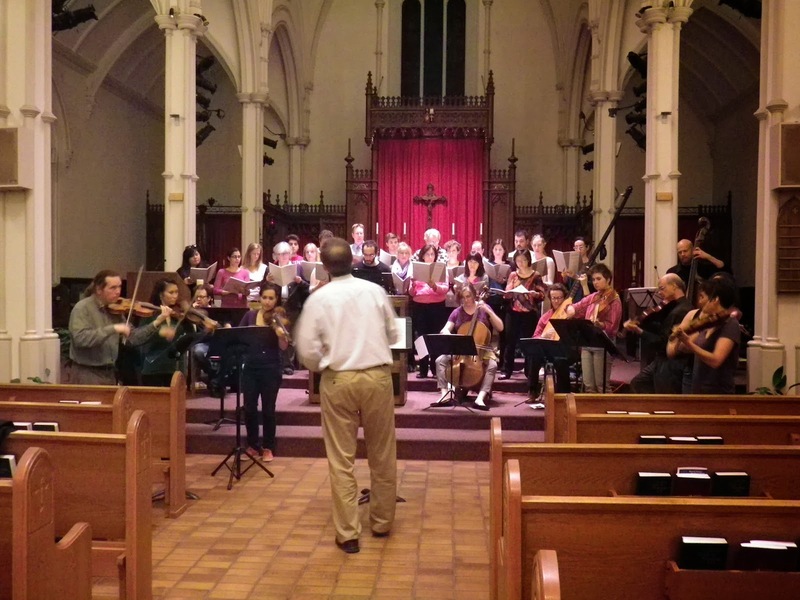 Oratorio and concert performances include, Handel’s Messiah, Bach cantatas 78, 132, 133; and 147 with Victoria Symphony Orchestra, and conductor Alain Trudel, and scenes of Carmen in a concert presentation of Bizet’s Carmen, with Cambridge Symphony, and conductor Sabatino Vacca. Laura self-produced, A Poet’s Love, a staged recital production, and recording of Robert Schumann, and Ukrainian composer, Mykola Lysenko’s Dichterliebe song cycles. This past season, Laura sang the role of Mozart’s Sesto, under Jonathan Berman with Aradia Ensemble, in CO-SI’s training program in Sulmona, Italy, and was the alto soloist in the North American premiere of Krystof Maratka’s VABENI, composed for choir and orchestra with the Toronto Symphony Orchestra’s 2013 New Creations Festival, with conductor Peter Oundjian. Upcoming concert performances for this season include alto soloist in an 8-voice Bach’s Weihnachts Oratorium, Vivaldi’s Gloria, and Messiah, as well as der Komponist in Richard Strauss’s Ariadne auf Naxos. 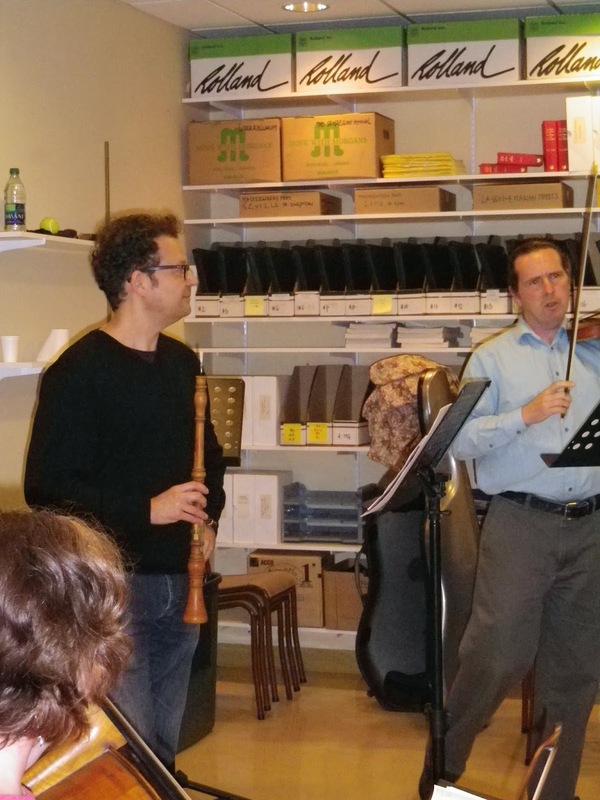 Oboist Marco Cera studied at the Padua Conservatory of Music (Italy) and at the Musikhochschule der Stadt Basel (Switzerland). In 1996 he was chosen as first oboe for the European Union Baroque Orchestra, with which he performed in Denmark, Portugal, Germany, United Kingdom and South Africa. He regularly collaborates as a soloist with the leading baroque orchestras in Italy and Europe, including Il Giardino Armonico, Concerto Italiano, I Sonatori della Gioiosa Marca, Accademia Bizantina, Cappella della Pieta’ de’ Turchini, Ensemble Zefiro, Europa Galante, I Barocchisti, Les Talens Lyriques and Academia Montis Regalis, and has worked with conductors Jordi Savall, Gustav Leonhardt, Robert King, Jesper Christensen, Jaap ter Linden and Barthold Kuijken. His wide discography includes works for Teldec, Opus 111, Chandos, Dynamic, Tactus. 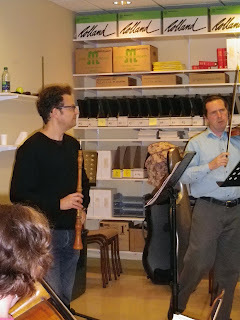 Marco moved from Italy to Toronto to play with Tafelmusik from 2000-2002, and rejoined the orchestra in January 2007. 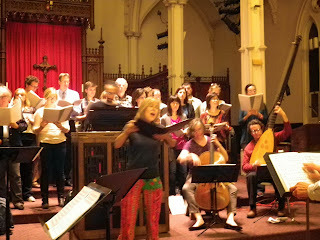 St Michael’s Schola Cantorum is an ad hoc group drawn from staff, graduate and undergraduate students, faculty at the University of St Michael’s College, and members of St Basil’s parish choir. Michael O’Connor has been Director of Music at St Basil’s Church since 2010, and is an Associate of the Royal School of Church Music. He teaches in the college programs at St Michael’s and runs a weekly singing club on campus. 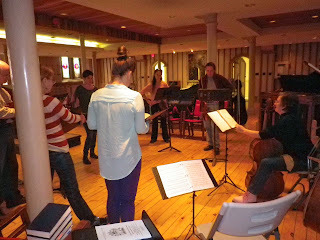 His academic scholarship and practical music-making overlap in the theory and practice of liturgical music.